A fight is brewing over smart street lights that are about to be installed in San Jose. Michelle Roberts reports. A fight is brewing over smart street lights that are about to be installed in San Jose. The tech company that created the device promises they can boost WiFi and assist police in the case of an emergency. But critics fear the bright tech could create privacy issues. Crews plan install about the new device on about 1,000 light poles throughout San Jose. The pilot program is essentially a trade: the city was looking to cover the multi-million dollar cost of upgrading thousands of street lights to LEDs and the creators of the smart LED controller box were looking for real estate to test their new technology. "This is a brand new wireless hotspot for the entire city," said Rob Praske, the CEO of AnyCOMM Holdings Corp. The San Jose City Council on Tuesday night approved a one-year partnership to see if some of the many features on the LED controllers will work. Some of the features include detecting car crashes, gun shots and even serving as an earthquake sensor. The controller also has face recognition, cameras and audio recording capabilities. But the city has not decided if those features will be enabled. 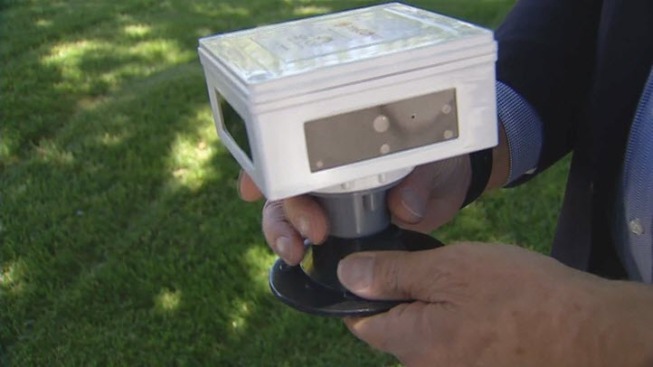 "We will have the capability of monitoring the data, but what the city is allowed to do with the data is something I'm concerned about," San Jose City Councilman Johnny Khamis. He believes the community should be able to decide what, if any surveillance tools will be implemented. "If people know they're being watched, they don't do stupid things," San Jose-resident Audra Ades said. Others fear the technology will give city officials too much power. The city is not saying where the lights will be installed. Officials still must decide on which high-tech tools will get the green light.